Informality | Eugene Richards: The Run-On of Time: Too Rough for a Museum? 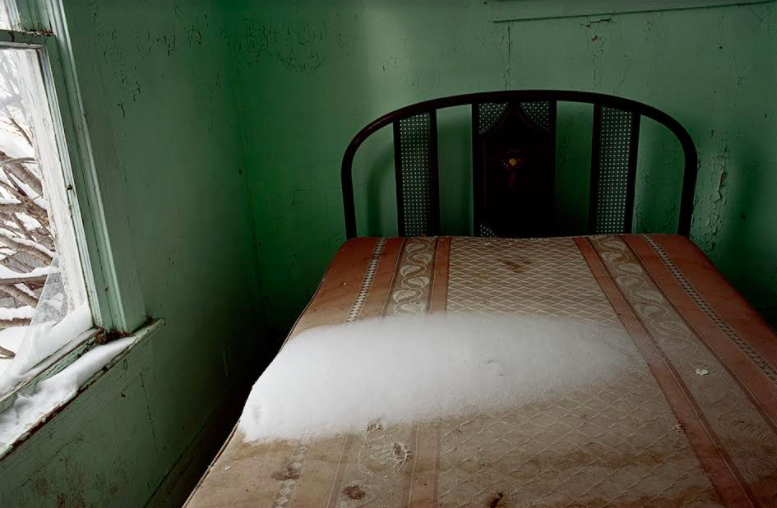 Home formal Eugene Richards: The Run-On of Time: Too Rough for a Museum? 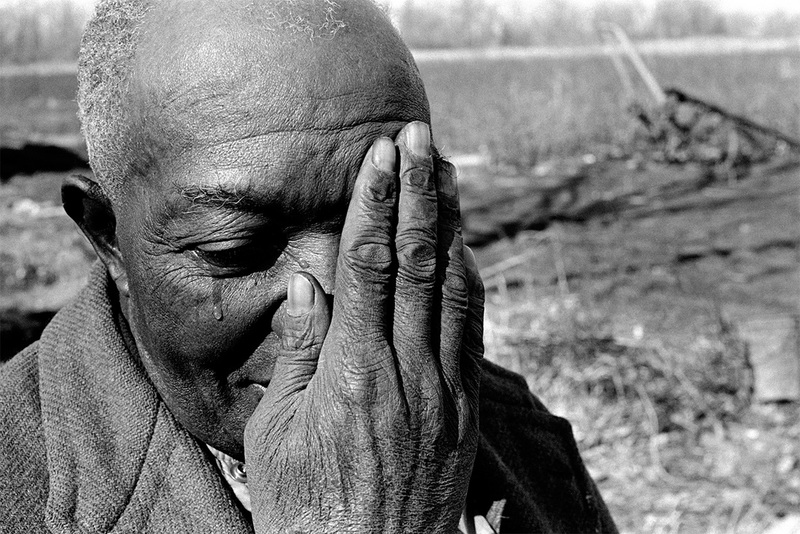 When we first enter the Nelson Atkins Museum of Art’s retrospective of 146 photographs called “Eugene Richards: The Run-On of Time,” it is through the eyes of a 25-year-old VISTA worker who put no distance between himself and the “few comforts or surprises” of the people of the Arkansas Delta. 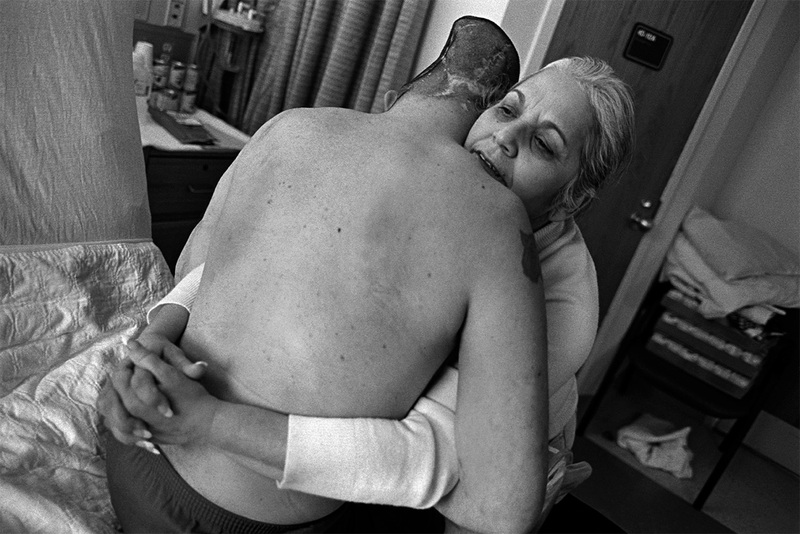 He became the vehicle for sharing their hardships with intimacy and truth through his photographs. Perhaps only his youth allowed such an altruistic immersion to begin his decades long journey. 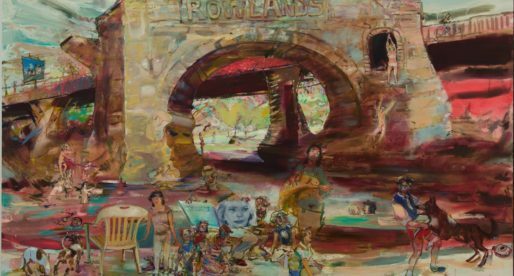 We are overwhelmed by the scope and dedication of Richards’s work documenting poverty, addiction, cancer, aging, mental health, racism, and war over the past 45 years. We have all known suffering but to witness what Richards has seen brings us literally face to face with it and we wonder what kind of emotional toll it has taken on him. 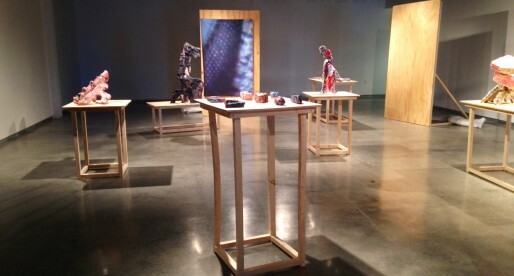 Listening to his voice as he narrates some of the show’s images through the Detour© app and on his website in 11 videos based on his books – we can hear it, as he slowly and gravely recounts the people and places in his images. We can tell that his accumulated experience with each image is formed of melancholic memories. Depicting others can get lost in the broad category of documentary photography where it is often seen as an emotionally removed and distanced look at time and place. However, here there is little room to breathe as Richards puts us up close to his subjects with one searing image after another. In After a Flood, he puts our face right next to a farmer’s in Arkansas as his hand, weathered like his land, covers and cradles his own. 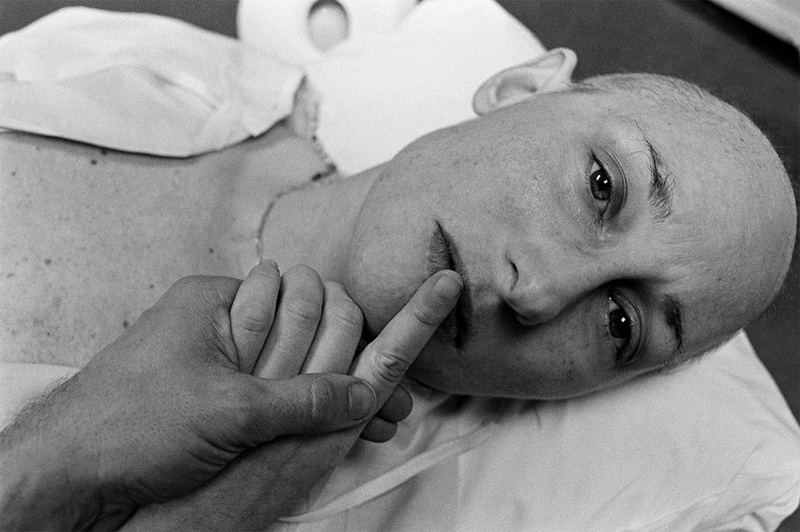 At age 35, both Richards and his partner and collaborator Dorthea Lynch documented her battle with breast cancer through her writings and his images until her death four years later. We never question why they would expose their own struggles but only admire their selflessness – sharing an intimacy that only two who loved each other could about life and death. In his photo Final Treatment, Dorthea looks through Richards and holds our hand as the viewer and we feel privileged to be allowed to share in it. 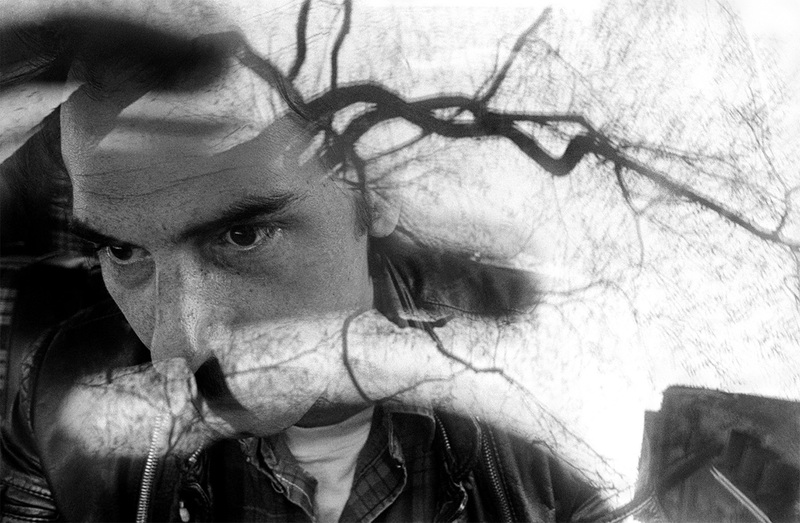 When Richards was 42 and working on his book Below The Line, Living Poor in America, he gazed down and took the photo of John coming down from crack staring off into space through a reflection of tree branches that extend from his temple like pulsating arteries on drugs. After walking through many more years of concerned projects documenting 9/11, health, aging, birth, homicide, and public asylums in Mexico, Paraguay and Hungary, we come to Richards at age 64 facing the ravages and devastation of war seen in the photo, Jose’s mother, Nelida Bagley, where a mother comforts her son. We hold off visiting an exhibit about the real stuff of our political, social and economic lives because we know it will be rough to look at but Richards’s photos need to be seen. The museum will still be a place of refuge where you can sit right outside the end of the exhibit by the sound and sight of running water hugging a Noguchi carved basalt fountain that is meditative, calm and elevating. Eugene Richards: The Run-On of Time is currently on view from Saturday, December 9, 2017 to Sunday, April 15, 2018 at the Nelson Atkins Museum of Art.